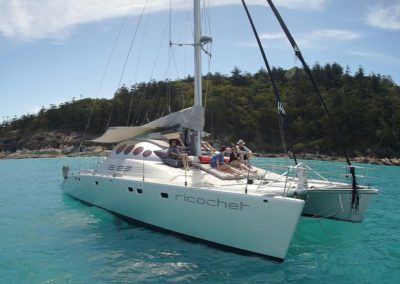 Sail in Absolute Luxury on the Unique Ricochet. 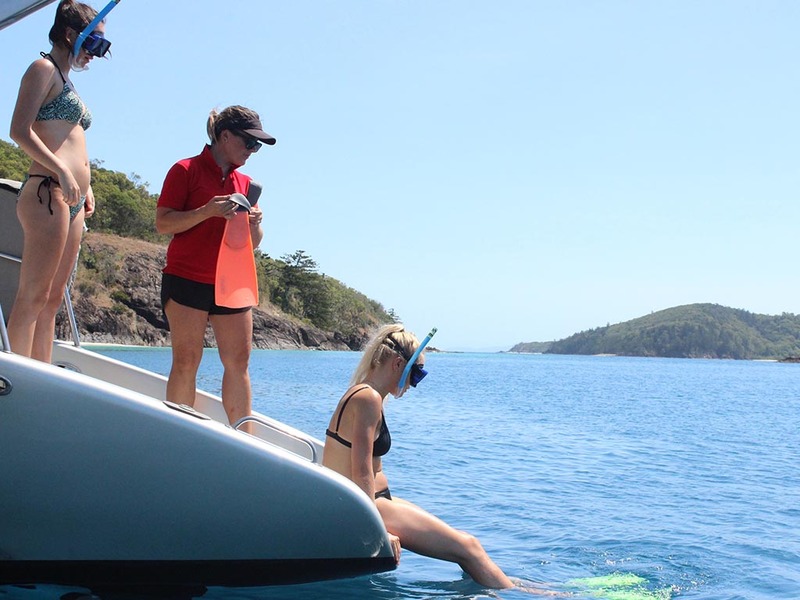 Experience the Whitsunday’s like never before. 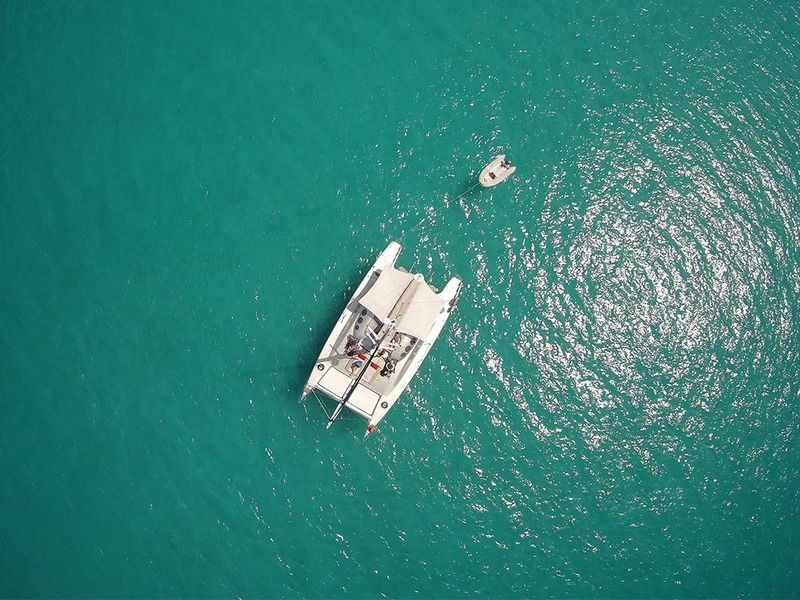 Aqua marine waters as far as the eyes can see. 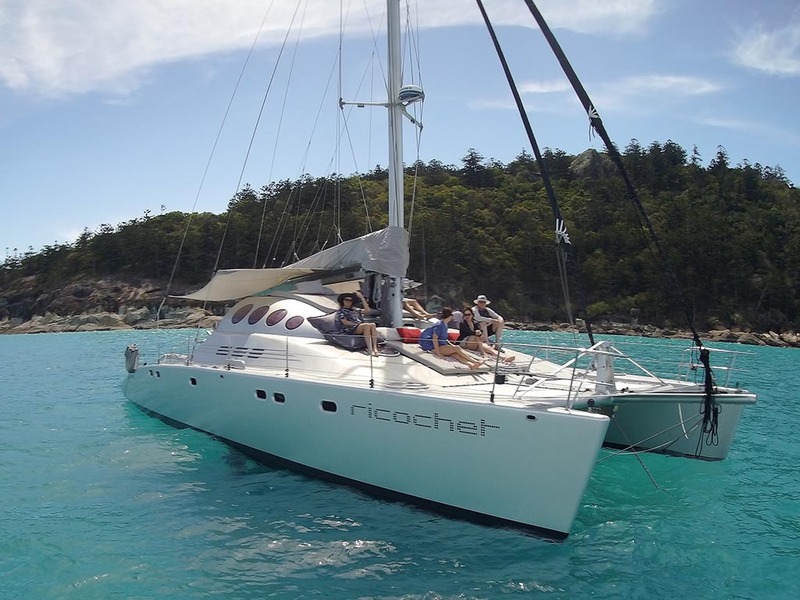 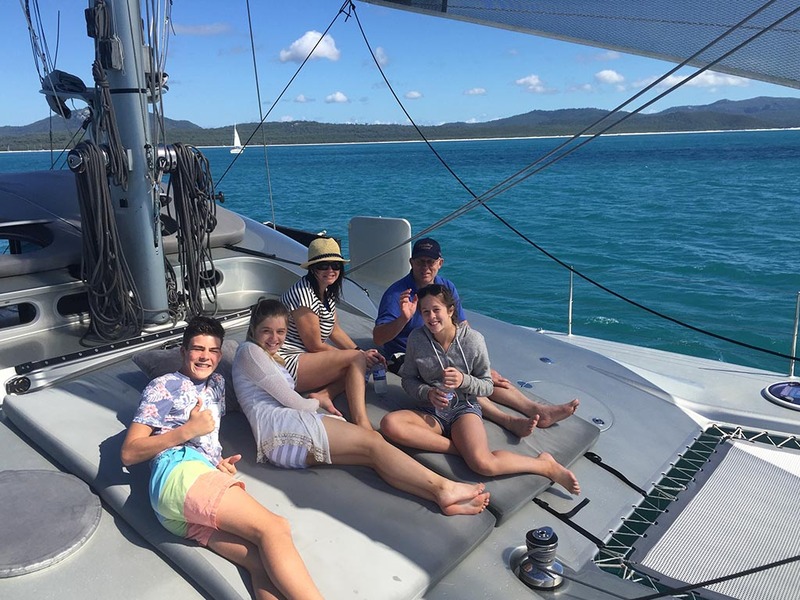 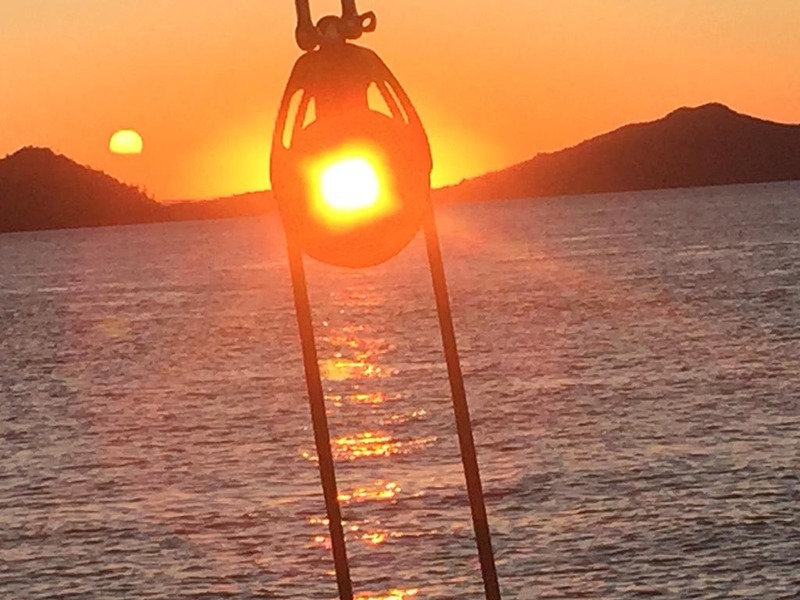 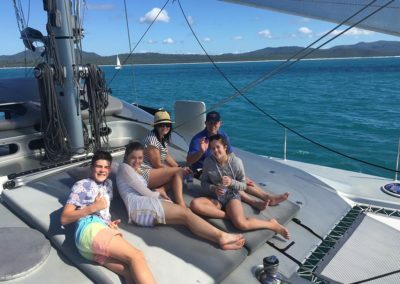 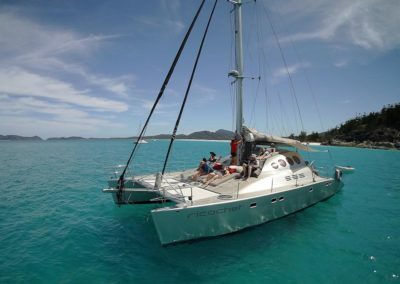 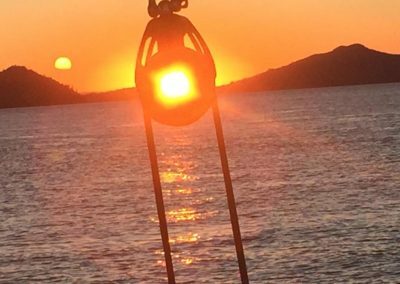 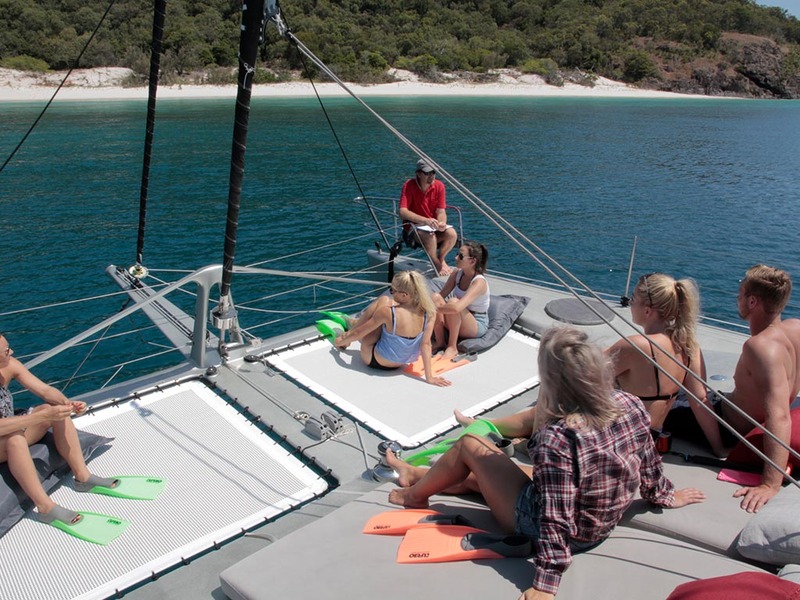 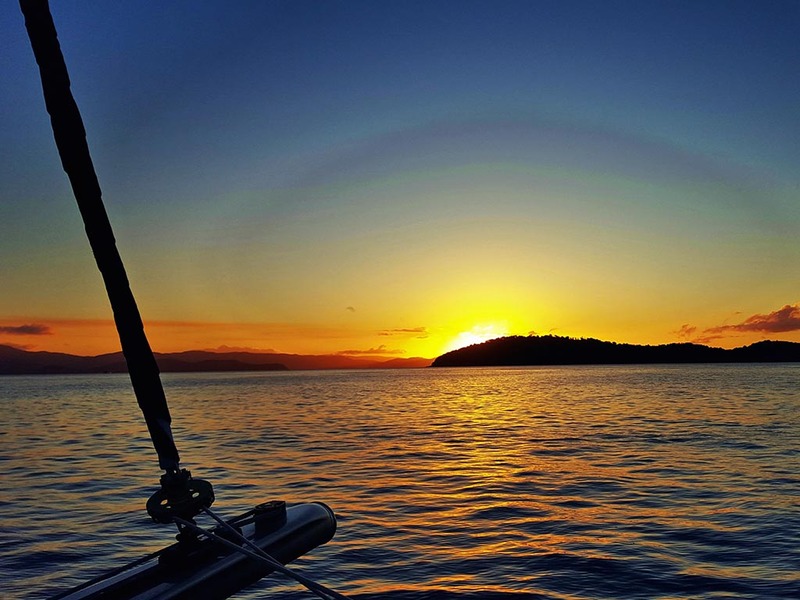 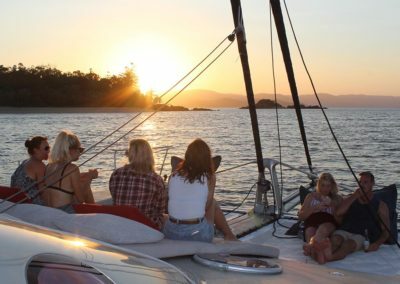 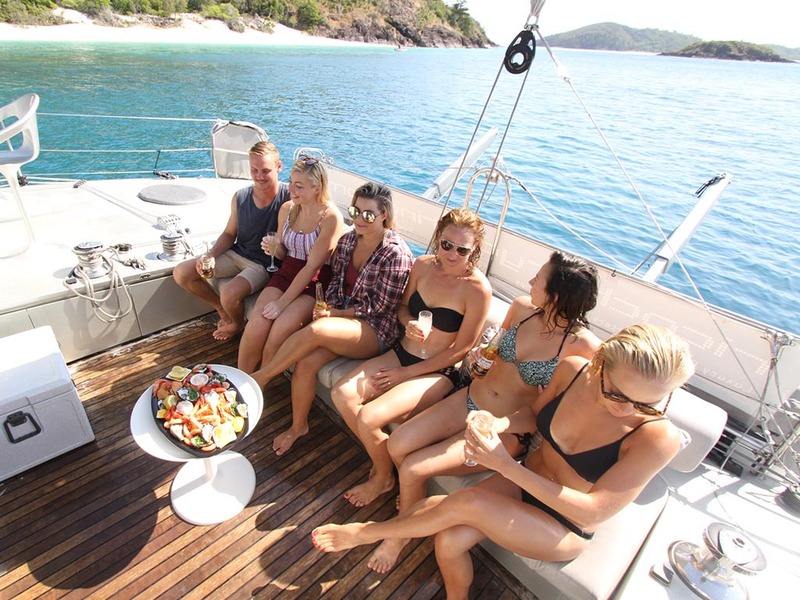 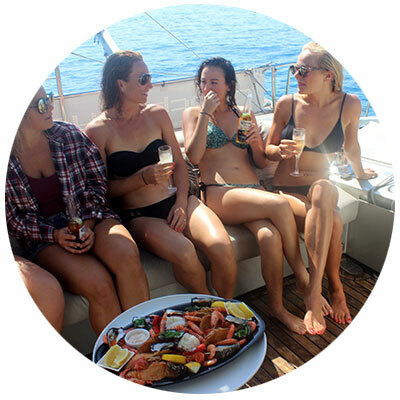 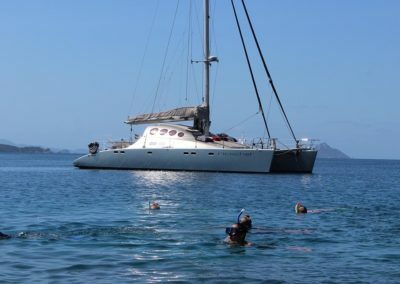 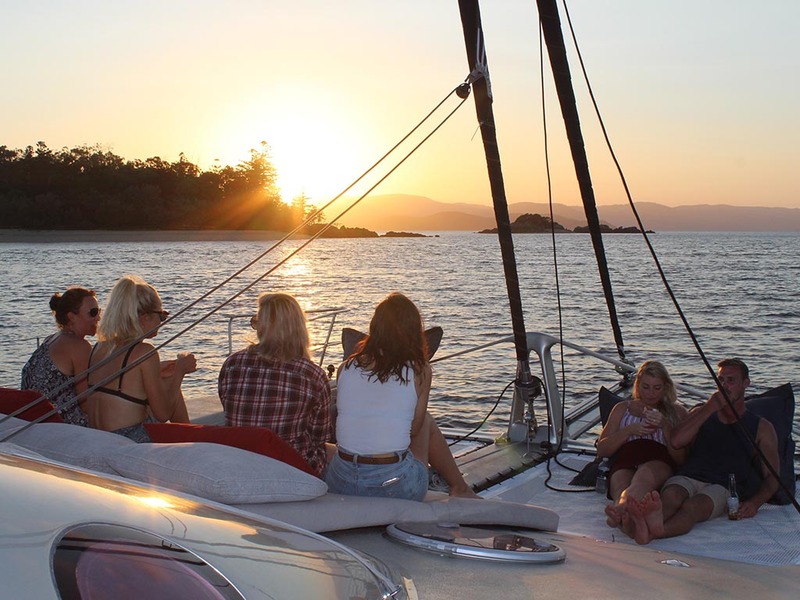 We welcome you aboard Hamilton Island’s Ricochet Yacht Hire to experience the Whitsundays like never before. 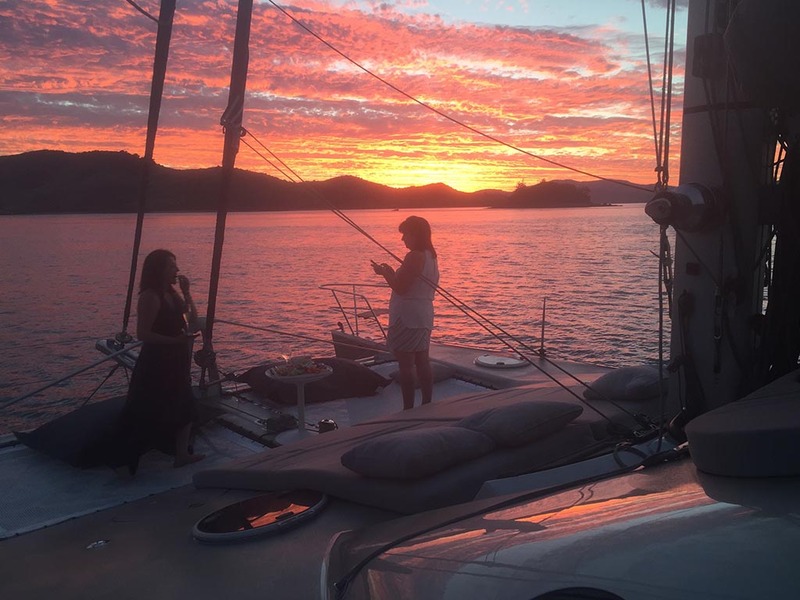 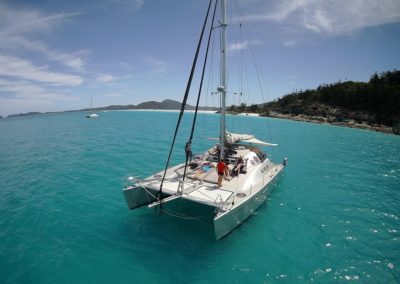 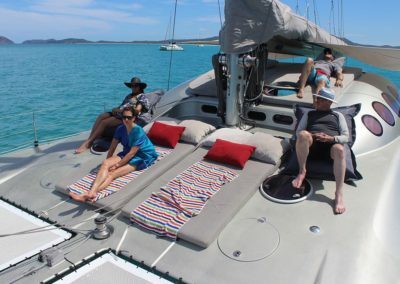 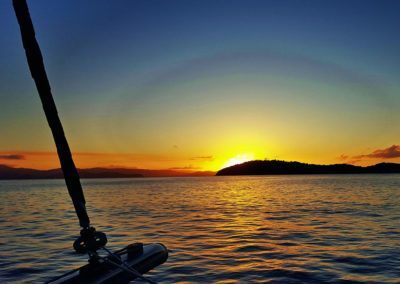 For the first time on Hamilton Island a unique state-of-the-art ultra fast catamaran is available for Private yacht and Corporate Charter as well as Day trips and sunset cruises around the beautiful Whitsunday Islands. 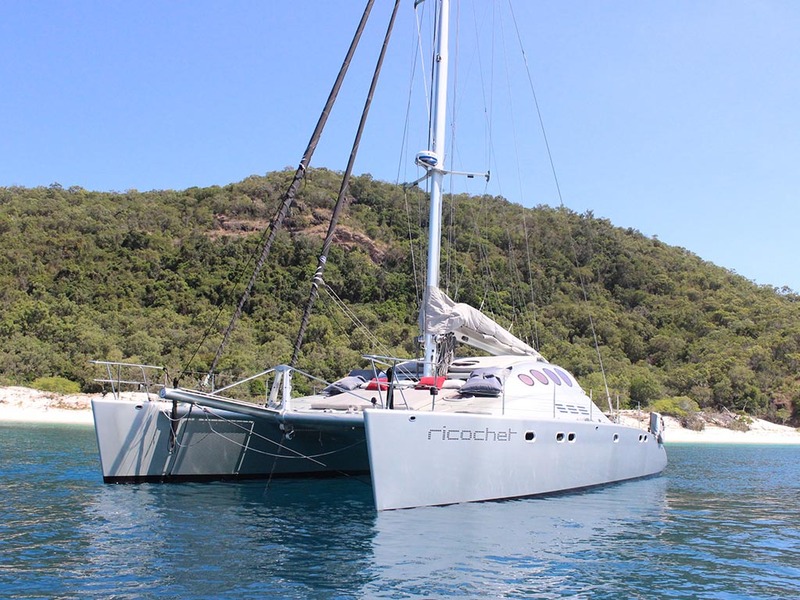 Creating the perfect synergy between luxurious comfort and speed and featuring 47 feet of sleek opulence Ricochet Yachting offers an exhilarating sail without compromising on comfort and sophistication. No expense has been spared in her design and construction to ensure she is light, fast and luxurious. Ricochet Yachting is now offering for Day trips and Private charters the perfect platform for that special event. 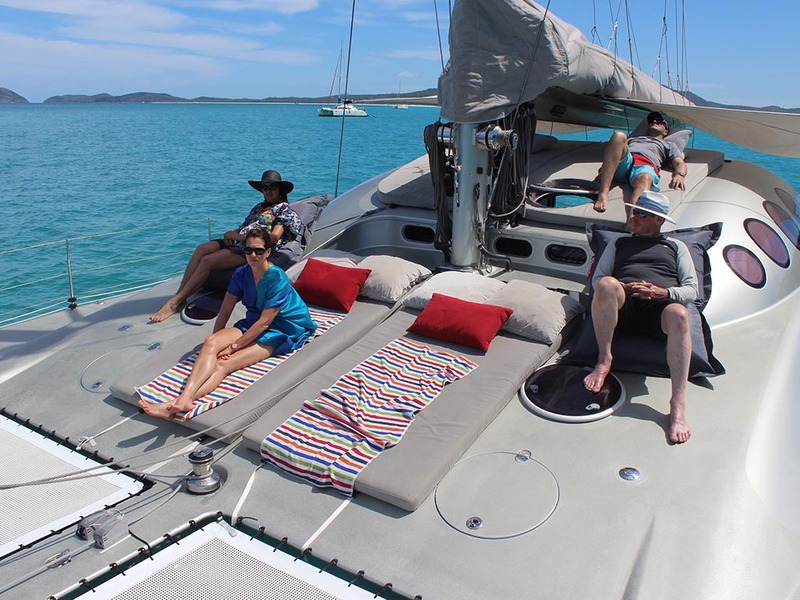 Our yachts offer expansive size that ensures there are many places to sit and relax – out on the back deck or for a more stimulating ride watching it all from the front trampolines, reclining on the foredeck cushions or for the more refined the leather lounge inside. 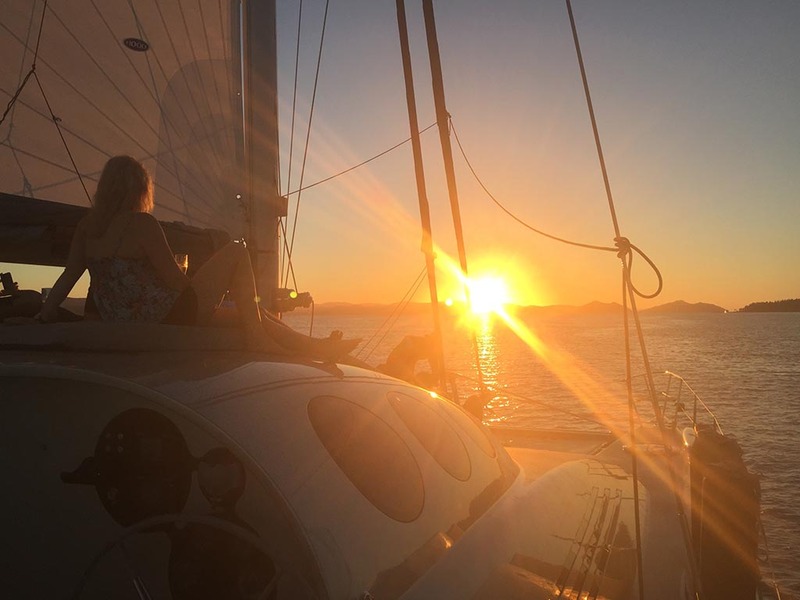 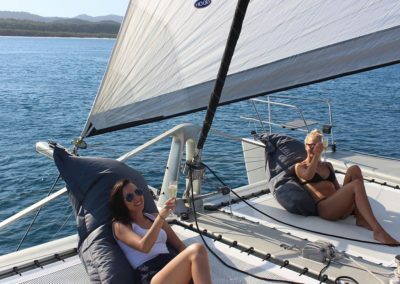 You can do as much as you like-trimming the sails or even steering the yacht, or as little- relaxing and enjoying the view with a glass of bubbly or beer. 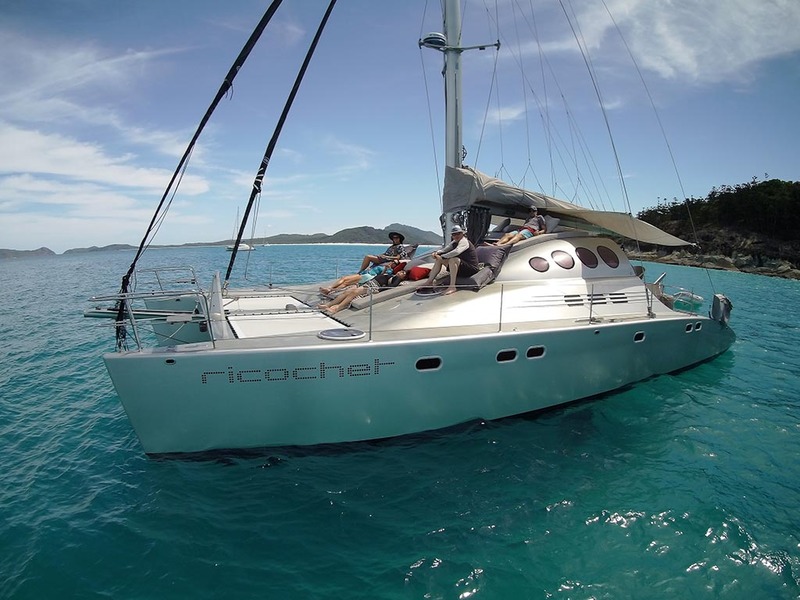 Ricochet Yachting has the perfect yacht to spend a day, night or even longer on, being light fast and very competitive featuring in Australia’s top yacht regattas. 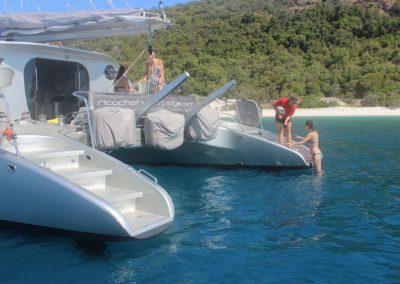 Described in a feature spread by design bible Belle Magazine as ‘exquisite’ Ricochet is a bespoke design that oozes sophistication and class. She is the brainchild of renowned Sydney architects Burton, Katon and Halliday and truly has to be seen to be believed. 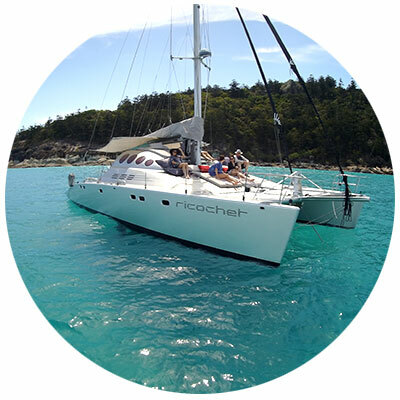 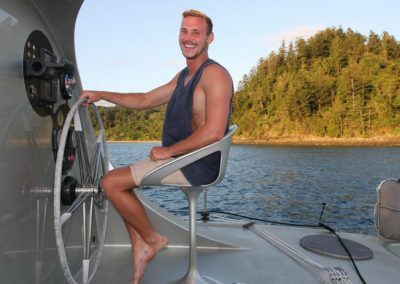 At the helm you will find Frank Hobson, the Director of Ricochet Yachting. 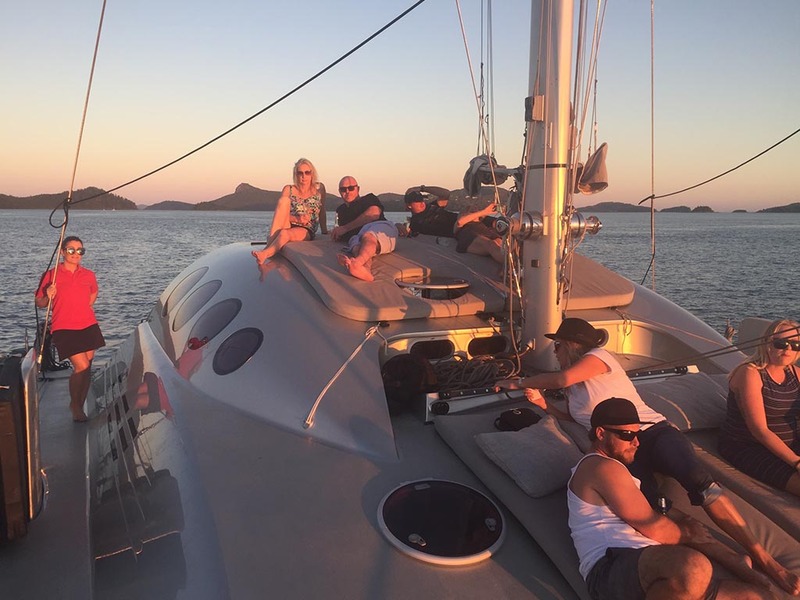 Frank has spent his whole life on, under or next to the Ocean, his professional yachting career has spanned 20 years travelling the globe as Master on some of the most prestigious and innovative Super Yachts. While Ricochet has the ability to reach speeds in excess of 25 knots with Frank at the helm you can be assured your safety and comfort is paramount. 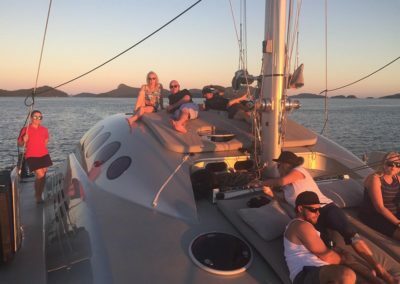 Frank has spent several years in command of different billionaire’s yachts including Richard Branson’s private yacht ‘Necker Belle’. 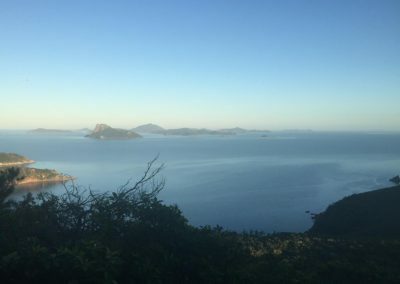 Hamilton Island’s private yacht charter, cruise and boat hire experts. Enjoy lunch, afternoon tea. 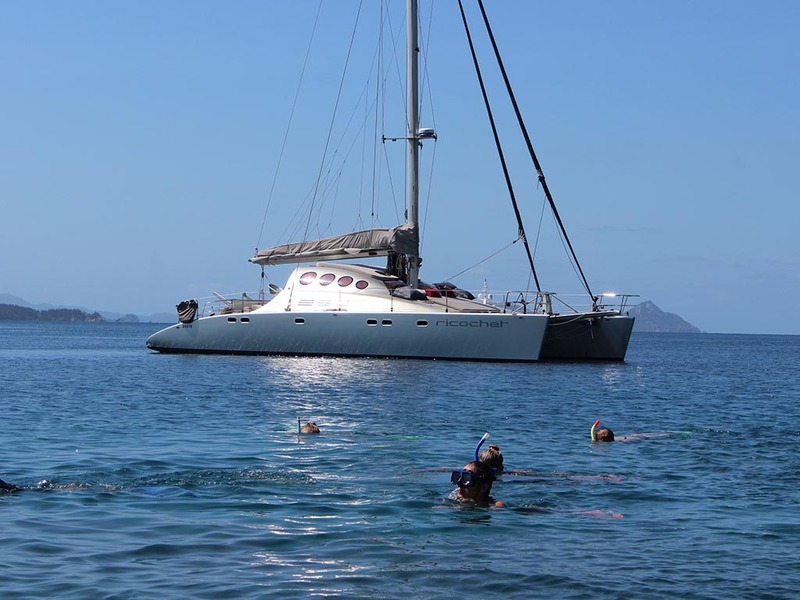 Plus snorkeling equipment and beach toys are provided. 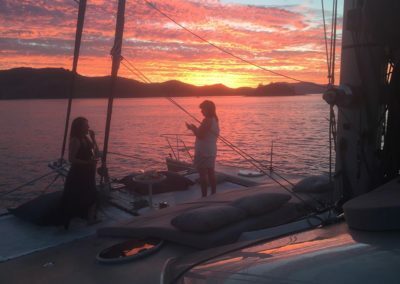 FULL DAY & SUNSET PRIVATE CHARTER FROM $3450PART DAY PRIVATE CHARTER FROM $29501.5 HR SUNSET PRIVATE CHARTER FROM $1250FULL DAY & SUNSET CRUISE FROM $390PART DAY CRUISE FROM $3301.5 HR SUNSET CRUISE FROM $95 Please tell us which tour or charter that you are interested in. Only available on Tuesdays, Thursdays, Saturdays or Sundays. 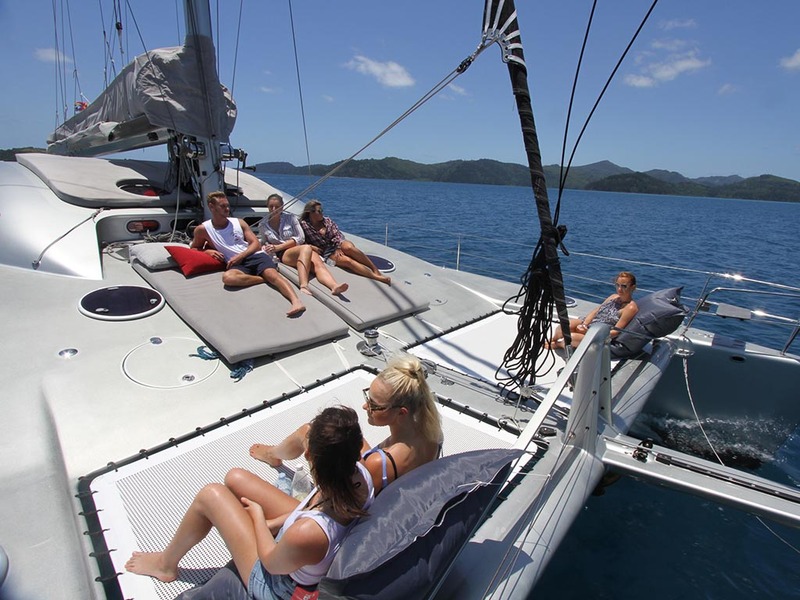 Sophistication & speed without compromising on comfort. 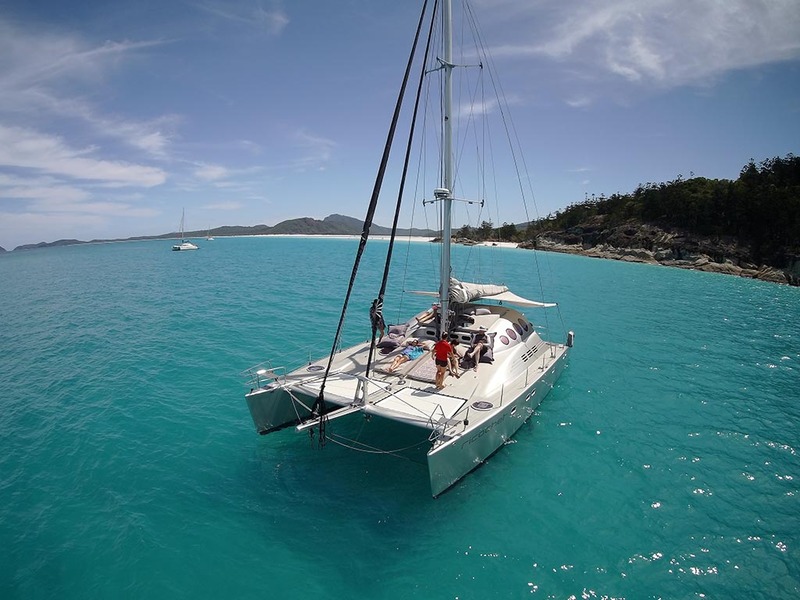 A perfect match for the clear turquoise waters of the Whitsundays.